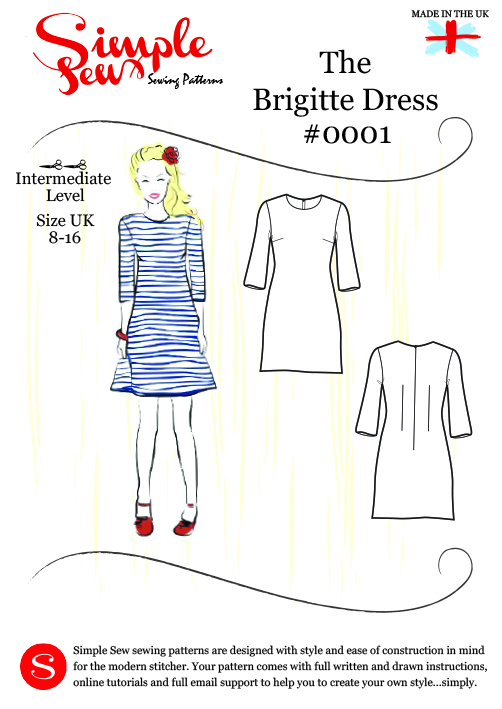 So, last Thursday the 24th April 2014 saw the launch of a new British sewing magazine called ‘Love Sewing’, and with it comes a free download for a Simple Sew pattern: the Brigitte dress. Simple Sew and Love Sewing asked me to run a sewalong to give some extra online help to anyone who decides to make themselves a Brigitte dress. The Brigitte dress is a classic tunic shift dress – easy to make – and, hopefully, easy to fit. As the instructions indicate, it ‘can be made in lightweight fabrics for casual holiday/daytime wear or perhaps in heavier, more luxurious fabrics for office and formal wear’, so, you could use cottons, jersey, silk jersey, light to medium weight knits, or suiting fabric. 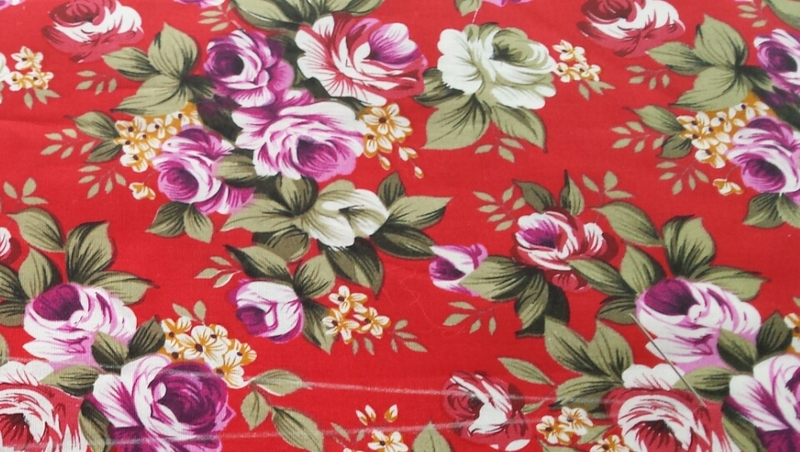 For the purposes of this sewalong I will be making my dress with a medium weight cotton, because this is the easiest fabric to work with in my opinion. It behaves itself very well, it’s easy to cut, easy to control and doesn’t stretch all over the place. The fabric that is shown above and on the front cover of the magazine is a striped polycotton from Minerva Crafts and is a steal at £2.99 per metre. The only thing to be aware of with this fabric is that the cutting layout is different to the one given in the instructions; it is cut on the cross grain. I’ll go over that in more detail in the post about cutting out fabric. I hope this sounds ok with anyone proposing to join the sewalong. Feel free to jump ahead and whip yours up quickly, just check back if you need any extra tips! I will try to answer anyone’s questions throughout the sewalong – just leave me a comment and I’ll get back to you as soon as I can. What a great idea! Thank you Stephanie. Ooh that looks fab! Is great timing giving that Me Made May is running then too! ps love the blog – just found you! Hi there, so sorry for the late reply, I must have missed this! It would be great made out of interlock. You could cut the back on the fold instead of having a centre back seam – you wouldn’t need to have a zipper because the stretch of the fabric would be enough. Excellent, hope it goes well! Anyone have suggestions on the type of fabric to use for this dress? Thanks for your excellent blog – only just got round to making this and it helped this novice sewer no end!